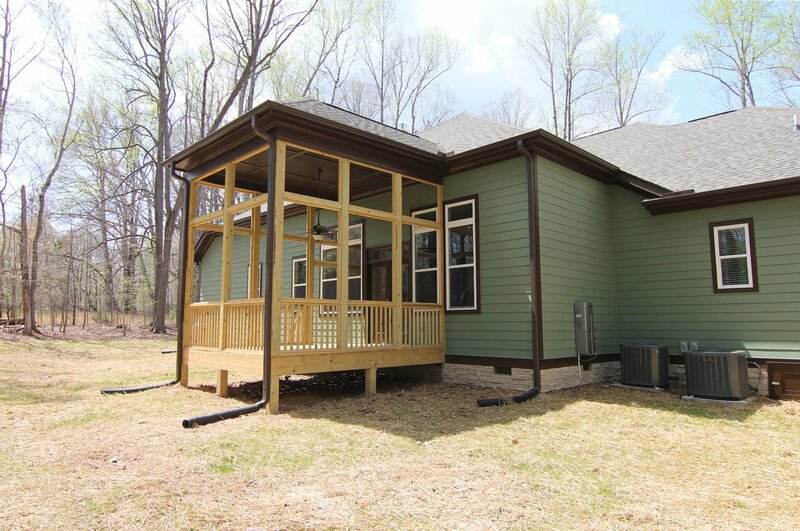 Screen Porch Design #1 - Dual stairways provide free flow in two directions to the back yard for this family-sized screen porch. 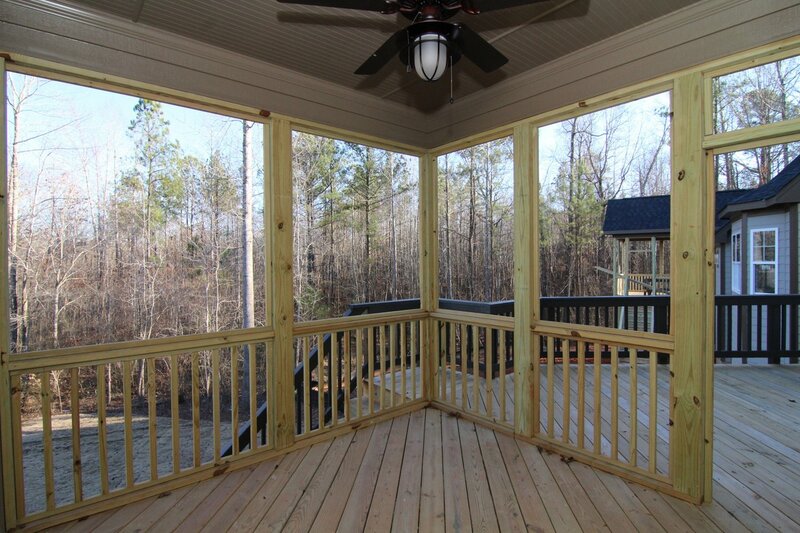 Screen porches like this can be adapted to fit just about any custom home by a custom home builder in North Carolina. 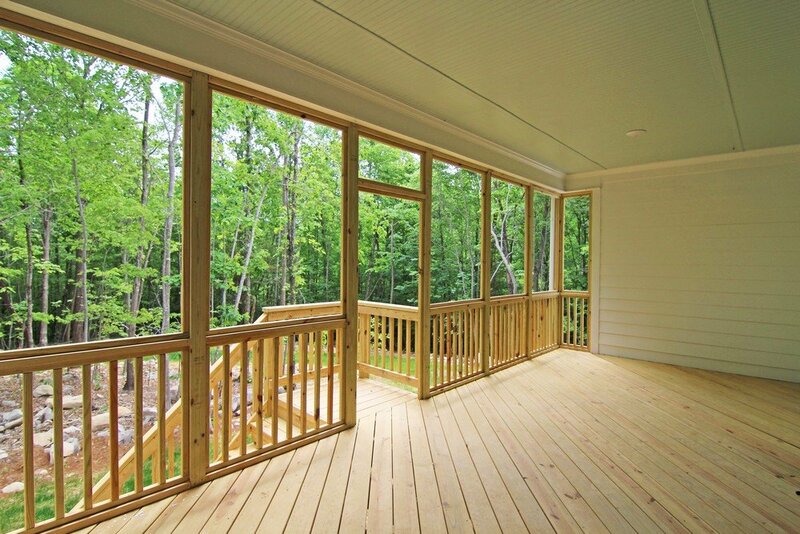 Screen Porch Design #2 - This huge Treehouse Screen Porch offers birds-eye views of wooded acreage. 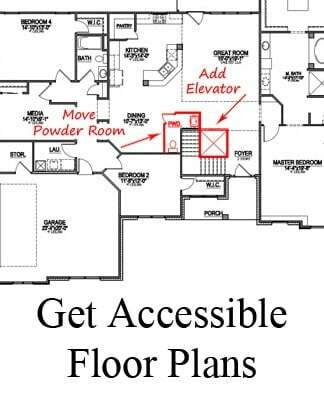 A stairway to the back yard has a landing in the middle, to ease the way down. 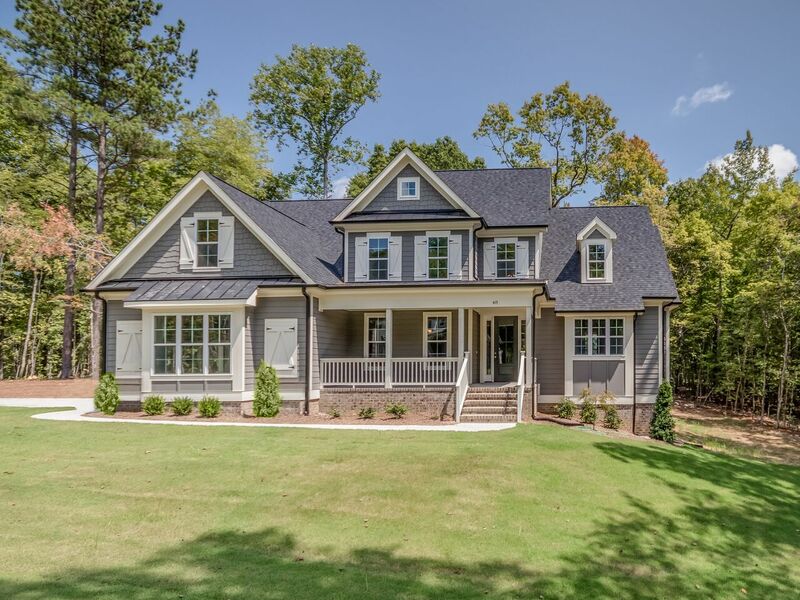 The beadboard ceiling is tinted to match the color scheme of this custom home in Chatham County. 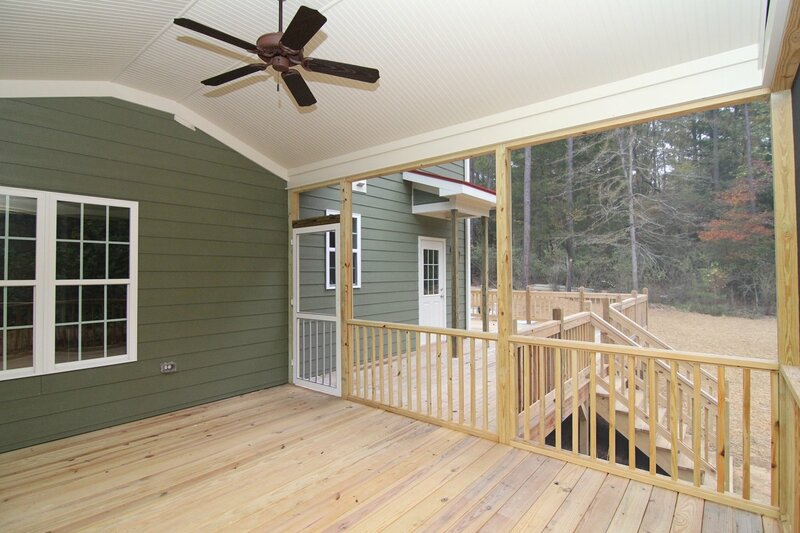 Screen Porch Design #3 - Ceiling fans help circulate fresh air in big screen porches like this. The choice here of a wide plank white ceiling gives a more formal look to outdoor living. Screening on all exterior walls as well as under the floor boards helps keep insects on the outside. Screen Porch Design #4 - This huge screen porch was designed in conjunction with a patio below that provides the perfect place for grilling for outdoor eating on this expansive entertainment area. Fresh air and wide open views add enjoyment. 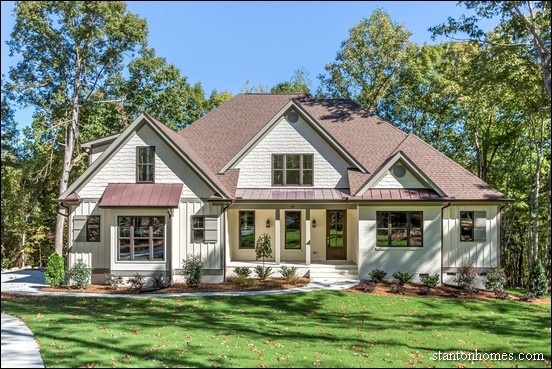 Screen Porch Design #5 - Expansive space including a high ceiling gives this massive screen porch the ability to host indoor/outdoor activities with as much room to maneuver as the gathering areas inside this custom home. 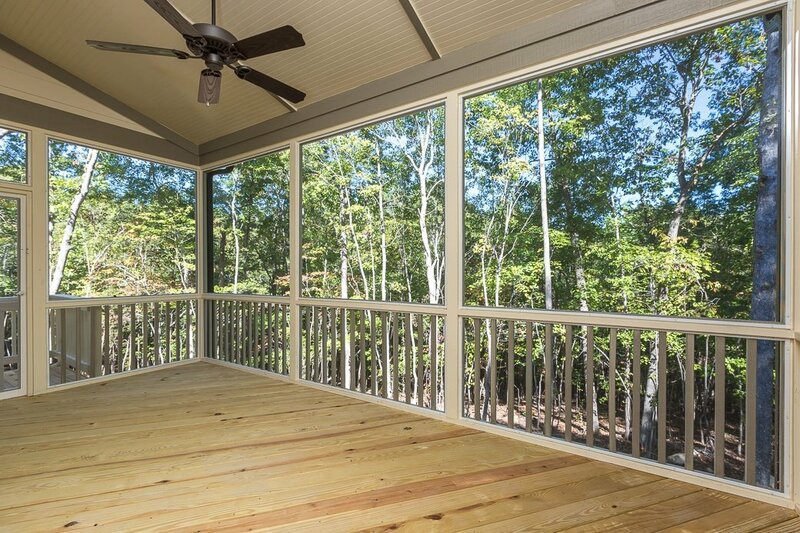 Screen Porch Design #6 - The spaciousness of this huge screen porch is even more expansive with the high ceiling that follows the roofline. 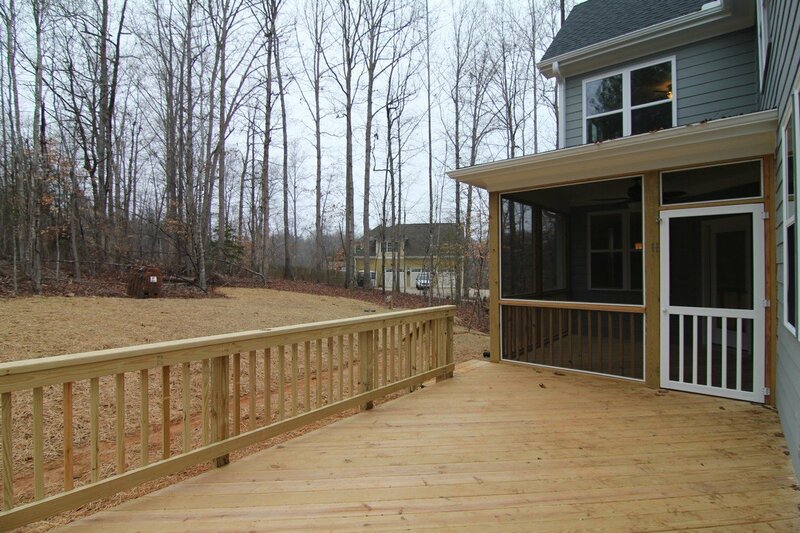 A deck beyond carries outdoor living around the side of the home as well as down into the property. 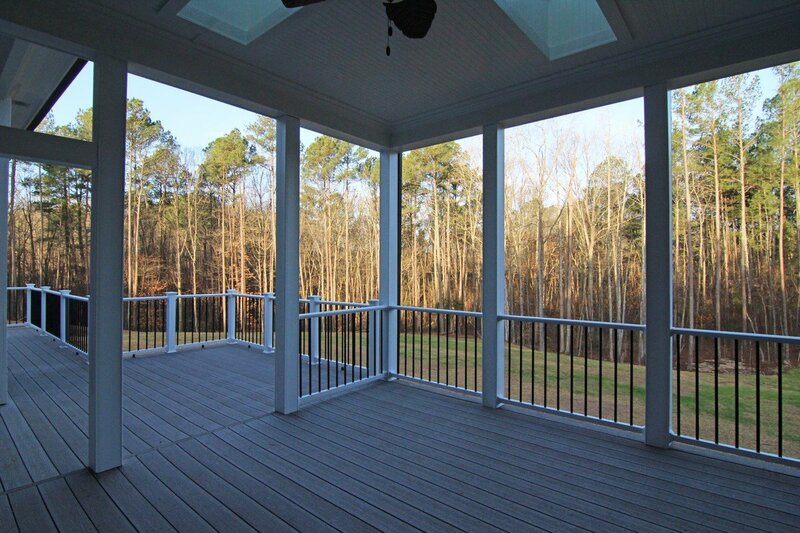 Screen Porch Design #7 - This high top screen porch adds artistry to this new home in Orange County designed by the homeowners with their custom home builder. The extended screened room walls heighten elegance for this intimate outdoor living space. 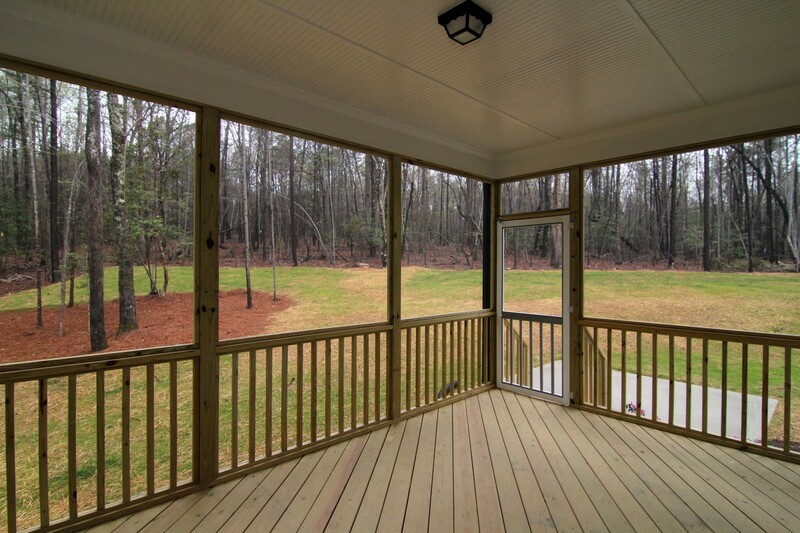 Screen Porch Design #8 - This massive screen porch is almost like having a basement - with a breeze. 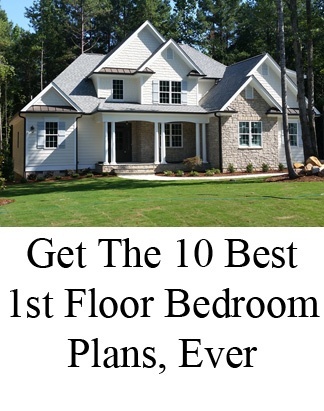 The concrete flooring in place of decking extends the home's foundation. The see-through fireplace and three sets of glass French doors invite flow-through for large gatherings. 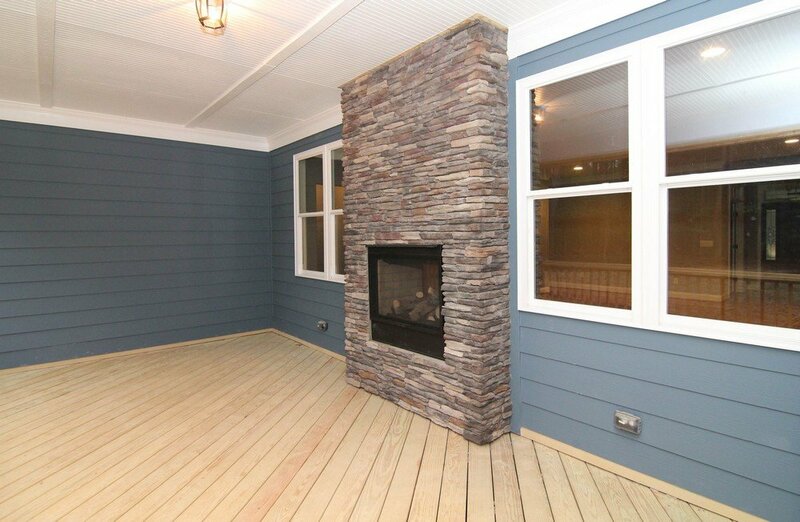 Screen Porch Design #9 - Small back yard? 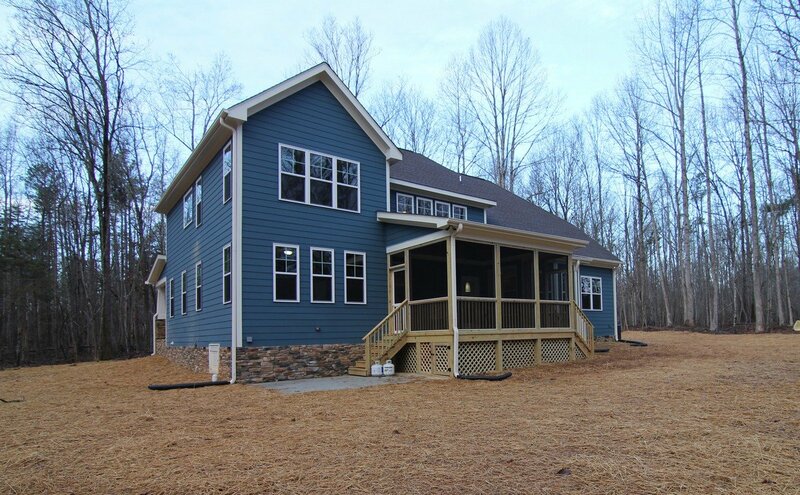 Extend its usability with a big screen porch like this custom home in Apex, NC. The huge fan with light set into a high ceiling expands versatility for long hours of protected outdoor living. Screen Porch Design #10 - Custom homes often carry the roofline across the screen porch like this, so the enclosed screen room feels like it's an integral part of the custom home design. 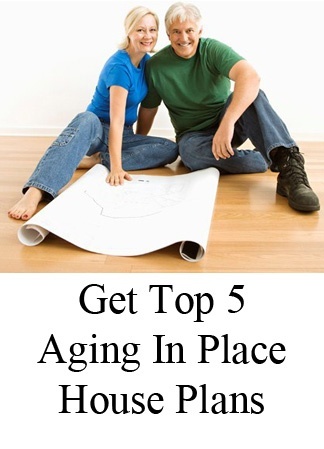 A ceiling fan lengthens indoor/outdoor enjoyment. 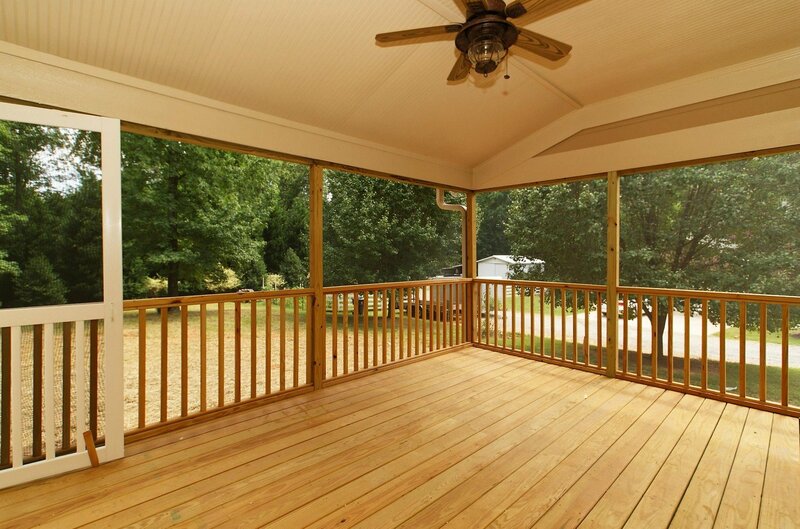 Screen Porch Design #11 - The grandeur of this custom designed screen room with extensive upper decking and a massive ceiling fan steeps this ultimate screen porch with the luxury of a Grand Lodge. 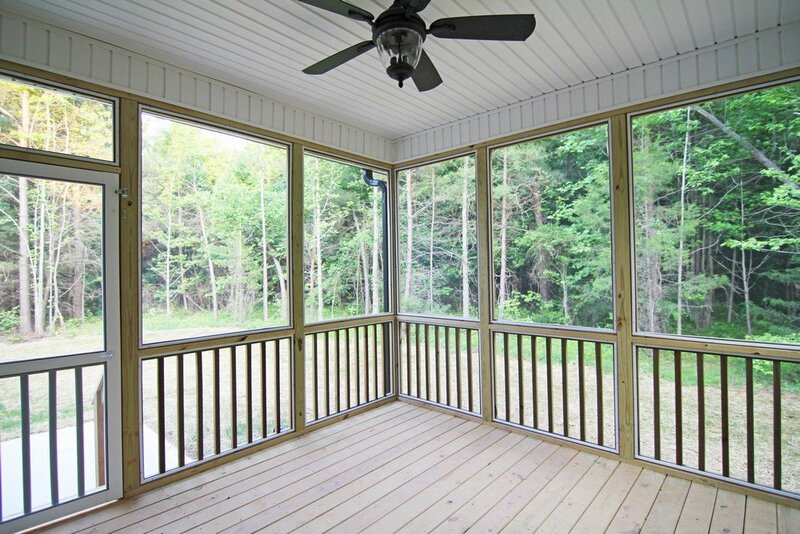 Screen Porch Design #12 - Practical and simplistic, this screen porch pairs up with the patio below for family entertainment. A wooden staircase joins the two levels of outdoor living. 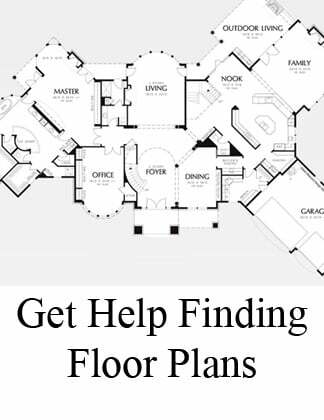 A beadboard ceiling completes detail work with the perfect cover story. 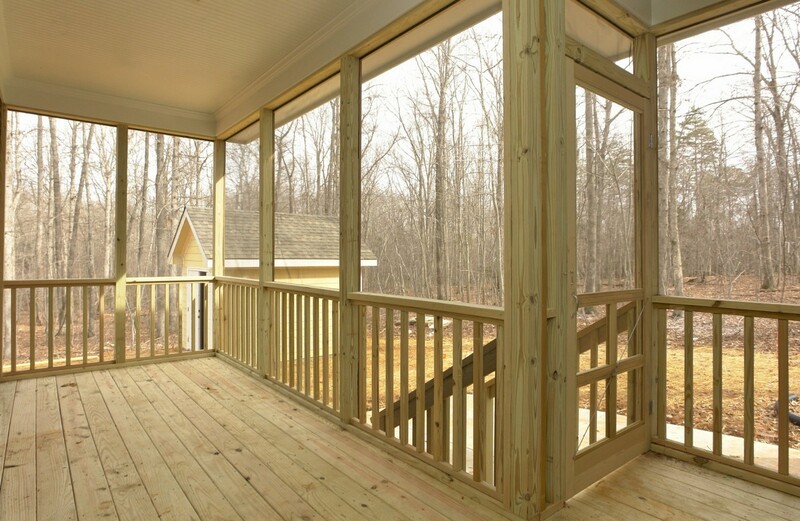 Screen Porch Design #13 - When outdoor living is a big emphasis in your lifestyle, this tucked in Screen Porch in accompaniment to a massive wood deck is a great way to enjoy year-long enjoyment of fresh air activities. 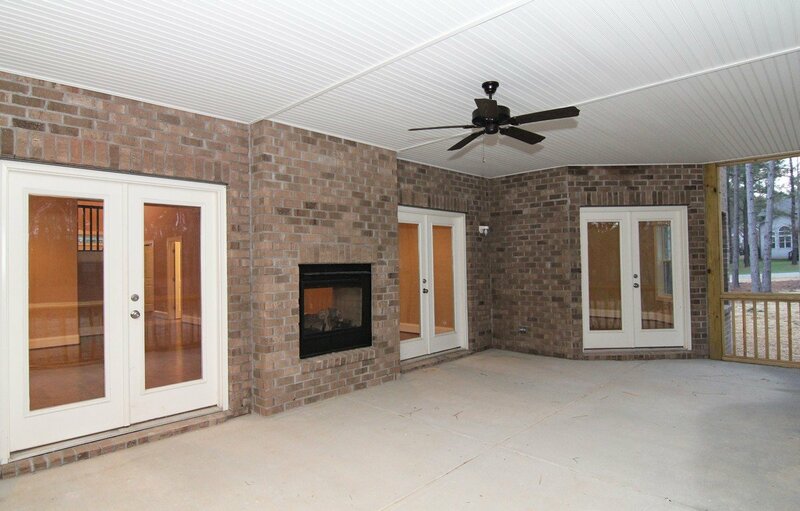 Screen Porch Design #14 - The see-through fireplace in this screen porch makes this indoor/outdoor entertainment screen room attractive all winter long. Beautiful stonework and a wall of windows further enhances the welcoming appeal.